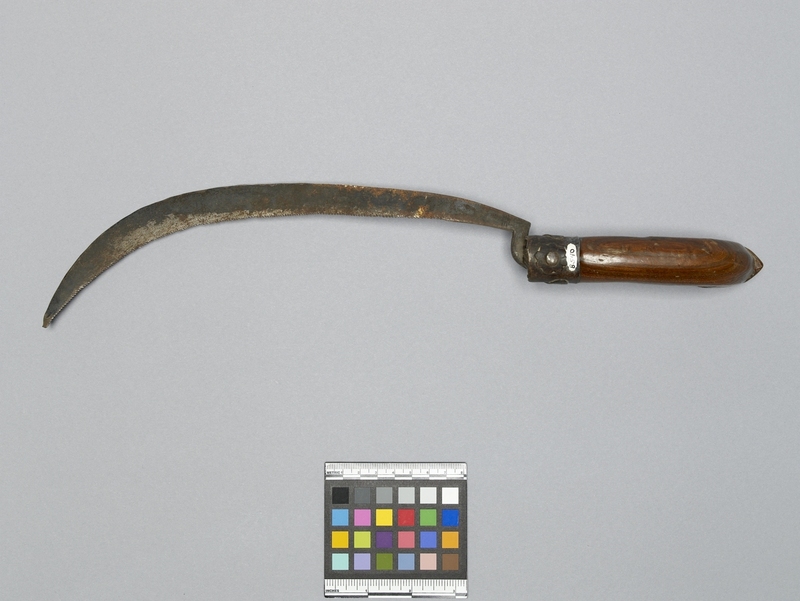 Item number B540 from the MOA: University of British Columbia. 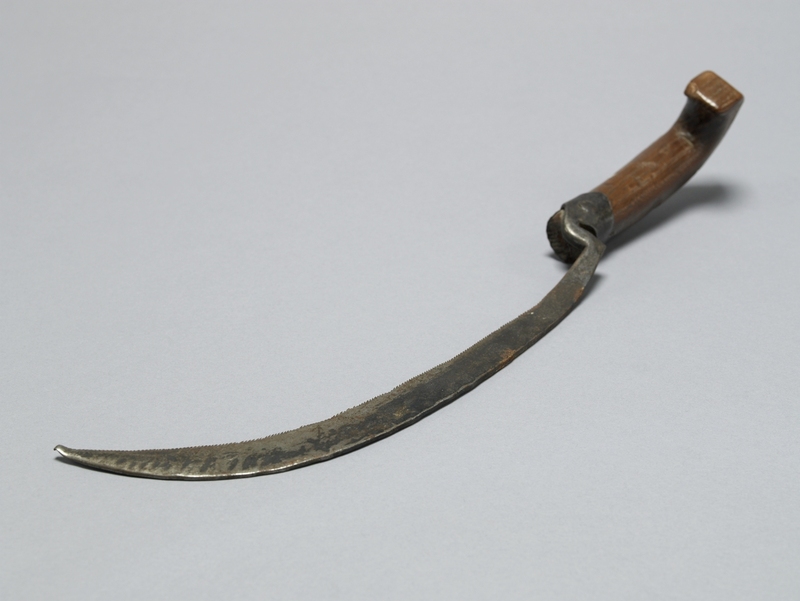 Hand sickle that has a curved wooden handle and a curved serrated blade. There are flower-like rivets where the handle and metal blade meet. Collected by H. V. S. Page.